The Shawnee Mission School District uses Cisco's cutting edge education technology to help students achieve academic success. Shawnee Mission School District is one of the biggest districts in the Kansas City metropolitan area. It's home to 28,000 students and 4,200 employees across 14 different communities. The administration values modern education and has always focused on preparing students for the future. Now more than ever, Shawnee understands that technology is the key to improving student achievement and success. To ensure that students have the necessary tools to succeed in the classroom and beyond, Shawnee Mission launched a digital learning initiative in 2014 that provided mobile devices to all students and teachers. Today, more than 30,000 devices connect to Cisco's Digital Education Platform (DEP), which includes a secure network, unified voice and video, and state-of-the-art wireless technology to foster a completely integrated digital teaching and learning environment. 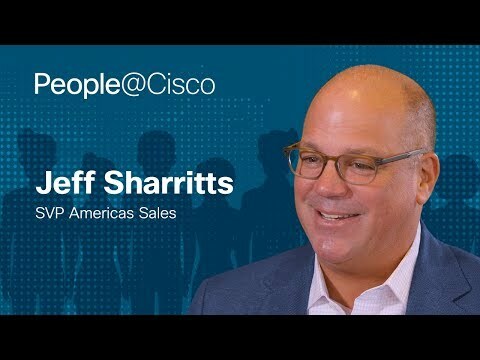 Cisco Webex and Webex Teams have also enabled Shawnee Mission's teachers to personalize student learning and transform their approach to classroom instruction, while also promoting leadership and professionalism among staff and faculty. Cisco Webex and Webex Teams are key to the DEP, opening up new avenues of communication for administrators, staff, teachers and students at Shawnee Mission thanks to the voice, instant messaging and video functions. This allows them to use their time on critical tasks instead of traveling throughout the district, which covers 100 square miles. Cisco Webex Teams and Webex Meetings have also enabled Shawnee Mission's teachers to personalize student learning and transform their approach to classroom instruction, while also promoting leadership and professionalism among staff and faculty. Administrators can now share important information with staff in real time, teachers can collaborate and exchange best practices across the district, and experts from within the district and beyond can offer their expertise. Most recently, Shawnee Mission began using Cisco Webex Board in their Center for Academic Excellence, particularly for classes in science and engineering that can benefit from Webex Board's wireless presentation, digital whiteboarding and video conferencing features. Shawnee Mission has experienced a number of benefits since it deployed its latest Cisco security solutions. When the district first launched its digital learning initiative, roughly three devices had to be reconfigured every day due to malware or some other type of interference. Now, Shawnee Mission only receives about one report a month that a device requires attention. For any report that Shawnee Mission receives, the IT team can now easily evaluate the threat and detect the source of malware thanks to the continuous and retrospective analysis provided by Advanced Malware Protection. With its drastically improved network visibility, the district can seamlessly navigate its network and mitigate potential security threats more efficiently than ever before. "Security is no longer a secondary consideration for us," Drew Lane the Executive Director of ICT at Shawnee Mission said. "It's an assumed part of everything we do now. This Enterprise License Agreement (ELA) is an integrated set of tools that allows my team to meet our larger mission: transformed digital learning." With protection provided by Cisco Web Security Appliances, Shawnee Mission empowers students and teachers with access to a variety of educational resources that are insulated from both online threats and inappropriate content. Having stronger content security in place also helps reduce the number of technical interruptions in the classroom. While the technical benefits have been significant for Shawnee Mission, the district has also noticed a positive shift in student learning. Students are engaging and school attendance has increased since the district started using this one-to-one digital learning. Teachers also reported fewer disciplinary issues. By providing new tools and offering additional options for teachers to engage more effectively, the overall student body is more productive and invested in their education. Using both the Collaboration and Security ELAs, Shawnee Mission's technology infrastructure has become more navigable, secure, and reliable—better preparing students for the future. Although the district has taken important steps to transform its digital learning environment, it continues to look for ways to improve. Now that students and teachers are comfortable with mobile devices, Shawnee aims to increase parents' engagement as well. For instance, the district's IT team has already begun to deploy resources that enable parents to check on their children during school. With tools like Cisco Webex, parents can also encourage their children to "bring school with them" when they can't attend in person. For example, if a medical condition forces a child to miss school, he or she can connect to the classroom using Cisco Webex. This mobility stems from Shawnee Mission's confidence in its security solution, knowing that the device and student are well protected, even outside of the school's firewall. "Digital learning creates a very dynamic environment, and you never know what's ahead," says Drew Lane. 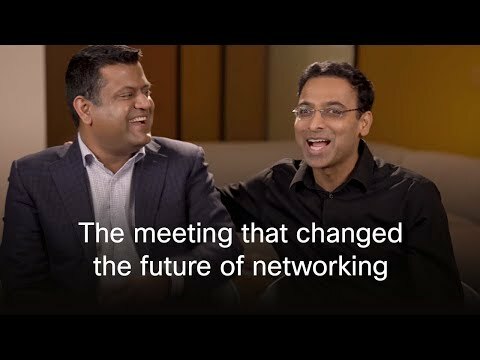 "But with Cisco as a partner, we now have confidence that we have access to what we need for a secure and productive future."